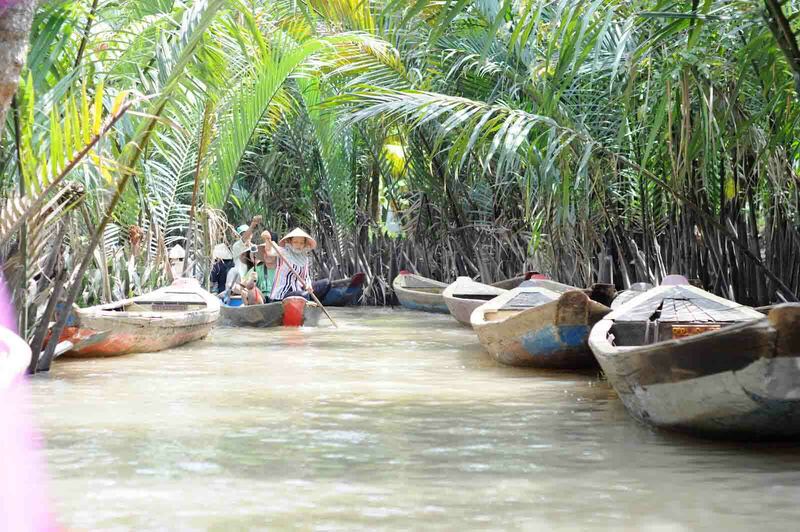 If you are having a tour to the South of Vietnam, you definitely should not miss a day to discover Ben Tre. This place is well-known for its green islets stretching along the river. It is also one of the most enchanting destinations in Vietnam for its simple and gentle beauty. Today, Ben Tre is one of the favorite choices of visitors for a relaxing trip as well as a discovering travel. Below are the most favorite tourist attractions in Ben Tre that you should go for once. 1. How to get to Ben Tre? From Ho Chi Minh City, to be convenient, travelers can choose the most popular means of transportation such as motorbikes, cars, or shuttle bus. Because Ben Tre is not far from Ho Chi Minh City, the move is very active. It does not take much time for visitors to get to Ben Tre. It takes only 1.5 to 2 hours from Saigon to Ben Tre. You can also take a taxi or grab from Tan Son Nhat International Airport to Ben Tre with from 100,000 to 150,000VND. You should depart early in the morning to have a full day of fun and more time to admire the beauty of Ben Tre. Choose reputed car rental business to have a safer trip and do not waste a lot of time on repairing motorbikes or cars. If you travel to Ben Tre by motorcycle, you need to run at the speed prescribed to ensure the safety of yourself and other people. Besides, if it is possible, go to as a group to be able to support each other. Be prepared for travel, such as food storage, drinking water, good personal care items, etc. Make a plan of where to go, schedule to avoid wasting time and have the most memorable trip. 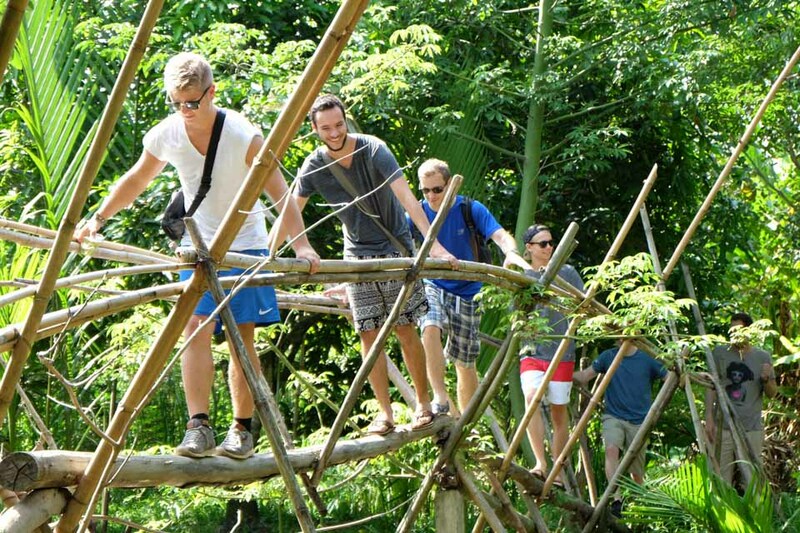 Vam Ho is a mangrove area with many wild species that grow into forests. It is also home to thousands of storks, cauldrons and other birds. 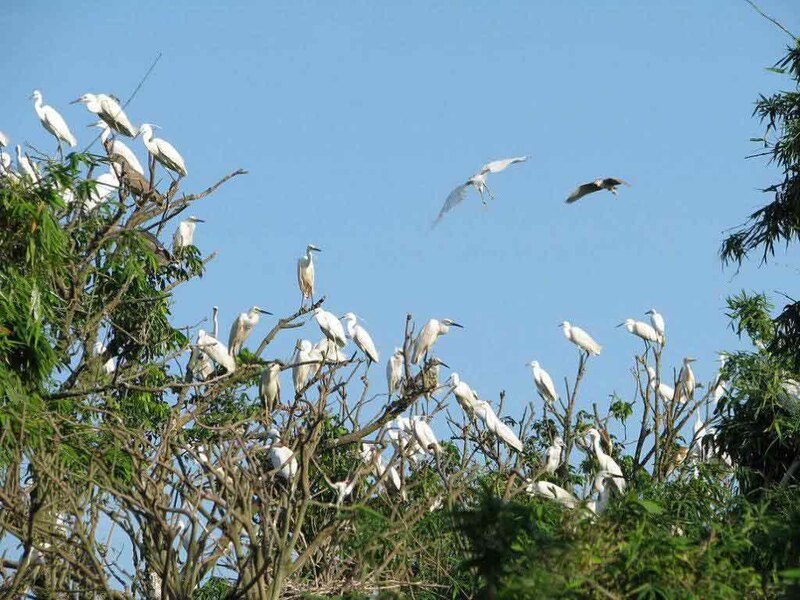 Located in Ba Tri district, Vam Ho bird sanctuary attracts many visitors every year to enjoy the natural scenery of this place. The best time to see the stocks is from April to October. Birds can be seen during the day, but the most exciting time is after 5:00pm. The trip will not take up too much time on your schedule. So, do not hesitate to come here once to feel the atmosphere of this comfortable and peaceful destination. Is Phung islet one of the most favorite tourist attractions in Ben Tre? Nestled next to the beautiful Rach Mieu bridge, Phung Islet has become a popular destination for relaxing. Coming here, you can completely immerse yourself in the romantic and peaceful nature with the folk games and enjoy the local fruits while joining the boat tour. In addition, this place holds great cultural value is the relic of the Coconut Religion created in 1940s by Nguyen Thanh Nam. Besides, visitors coming to this places can also witness the process of coconut candy and handicrafts from coconut tree as well as buy some souvenirs for family and friends. If it is possible, go with some buddies to experience great time together. Anyone who visits Ben Tre cannot miss this meaningful place. 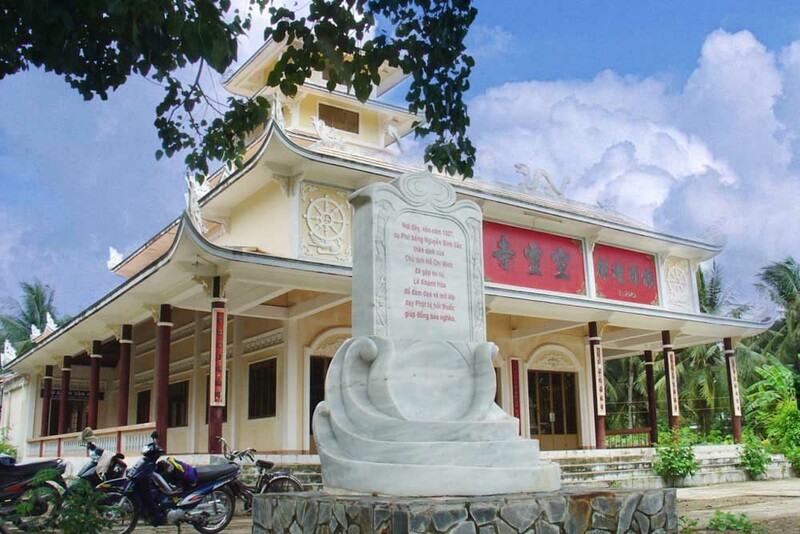 Tuyen Linh Temple is a historical monument recognized by the state. Built in 1861 in Mo Cay District, this temple is considered as a place of great memory. Because it was the place where Nguyen Sinh Sac (father of President Ho Chi Minh) usually resided. Every year, on May 19, Tuyen Linh Temple will hold a festival with cultural exchange activities to celebrate Uncle Ho’s beloved birthday. If you have the opportunity, visit here once to admire the spiritual beauty of this ancient temple. By and large, tourist attractions in Ben Tre mentioned above are definitely stunning destinations to explore and enjoy the relaxing time with your buddy. A one-day trip to this place promises to bring you deep expression and peaceful mind. Come and experience the great time by yourself right now! This entry was tagged ben tre, islet, phung islet, temple, tips, Travel guide, travel tips, travel vietnam, tuyen linh temple, vam ho bird sanctuary, vietnam, vietnam travel. Bookmark the permalink.